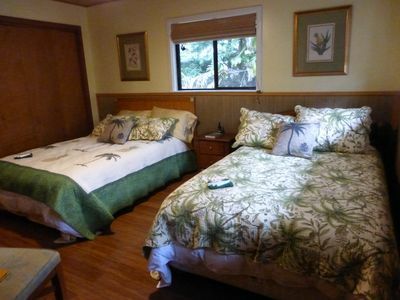 Set on 3 acres of lush tropical landscaping, 'Hale Aloha Aina' is the perfect romantic getaway. 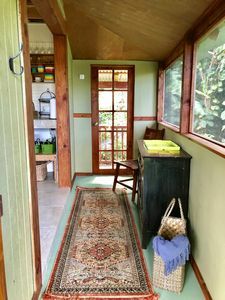 This secluded 1-bedroom, 1-bath vacation rental cottage is surrounded by fragrant blooms and fruit trees to provide a virtual garden of Eden for 2 guests. 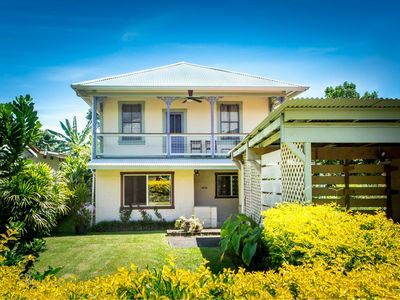 Balinese hardwood furnishings and a porch complete the interior. 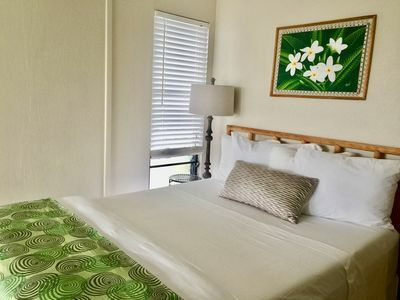 Wake to spectacular sunrises, visit the nearby town of Pahala, snorkel with sea turtles at Punalu'u Black Sand Beach and tour Volcano National park during your rejuvenating stay. 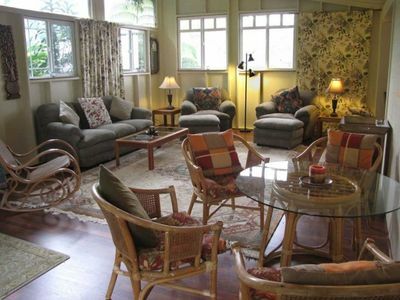 Vibrant charm pervades this cozy cottage which lets you make the most of Pahala's sunny climate. 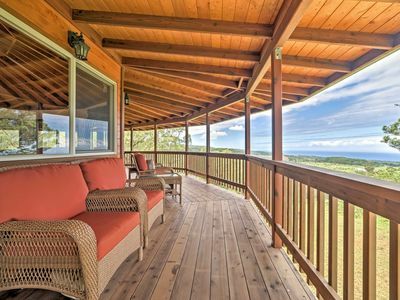 Wake in the morning to soak in a gorgeous sunrise from the porch before picking some fresh fruit for breakfast. The park-like setting boasts guava, bananas, limes, avocados, pineapples and more for you to enjoy! While the day away reading and relaxing on the wraparound porch, or exploring the property's meandering paths. 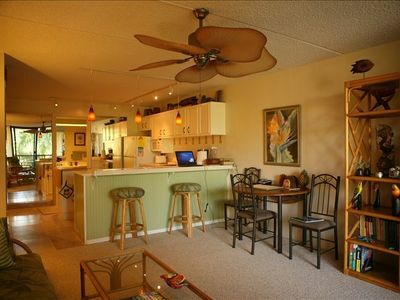 When you return to 'Hale Aloha Aina,' head inside to prepare a meal in the well-equipped kitchen. 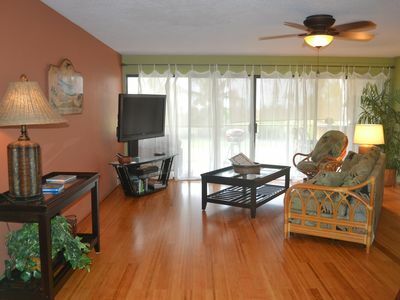 The bright interior boasts vaulted ceilings, hardwood floors and vintage Euro-Asian decor that inspires you to unwind. 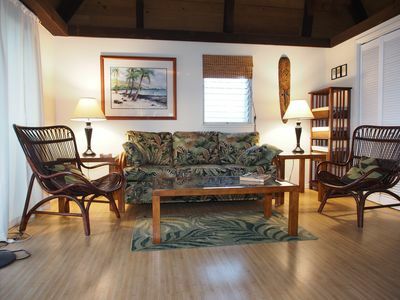 Take a seat in one of the leather club chairs to read or plan your next snorkeling excursion. As it grows dark out, head to the porch to soak in the spectacular stargazing that the area is known for. 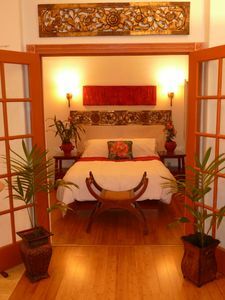 Retire to the bedroom and if you're not quite ready to fall asleep, watch a movie on the flat-screen streaming TV. 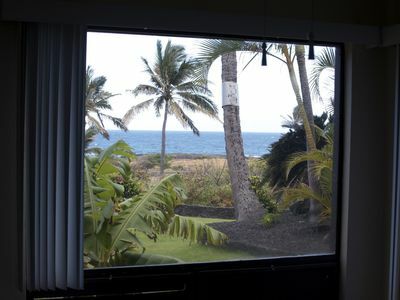 When you wake in the morning, you'll be refreshed and ready for another day in paradise. 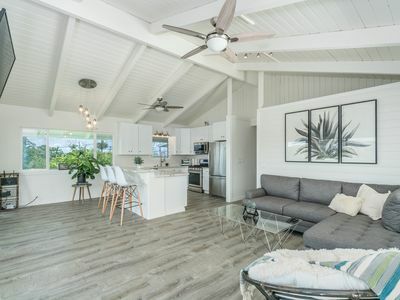 With such a peaceful setting, it'll be hard to leave 'Hale Aloha Aina,' but the nearby attractions promise to be unforgettable. 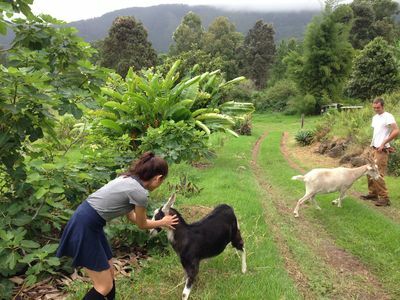 Just outside of Pahala is scenic Wood Valley which hosts macadamia nut farms, conifer trees, and wide pastures filled with cattle grazing along the rich green hillsides. 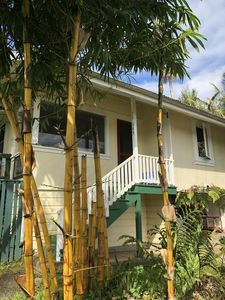 Six miles from the house, the old Sugartown Pahala boasts year-round sunshine. 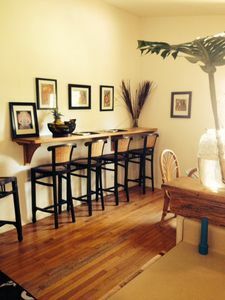 Stop in at Ka'u Coffee Mill for a tour of the farm and to caffeinate for a day of exploring. 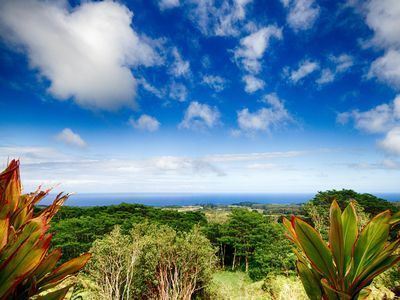 Travel the picturesque Kaalaiki Road from Pahala to Na'alehu to soak in the breathtaking views of both towns via lush mountain valleys. 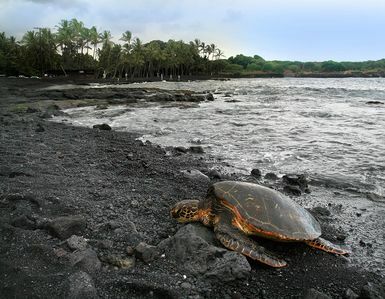 Na'ahelu features the Papakolea Green Sand Beach and Whittington Beach Park that promise blissful days beside the ocean. 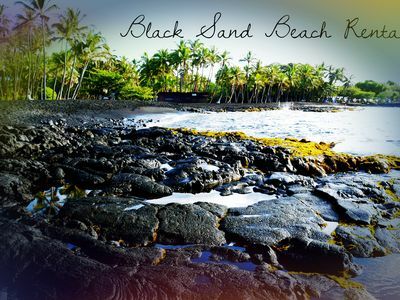 Aptly named, the renowned Punalu'u Black Sand Beach rests 12 miles from the cottage. 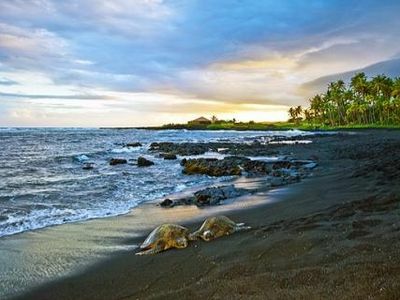 There, you can snorkel, dip your toes in the water and watch endangered sea turtles bask in the sun. You'll also be only 37 miles from the natural wonders of Hawaii Volcanoes National Park, where you can drive Crater Rim Trail, Chain of Craters Road and witness the incredible views. 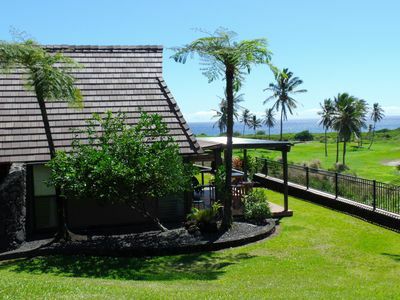 Volcano Art Center showcases handcrafted pieces by local arts, where you may find the perfect souvenir! VOLCANO BY THE SEA-37 TURTLES! BEST unit at Sea Mountain by Punaluu Beach. 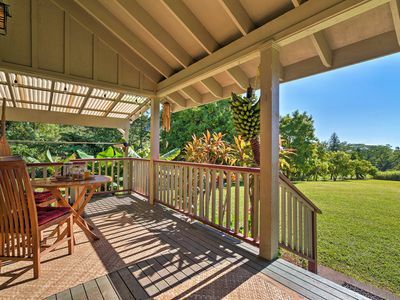 Beautiful Vintage Big Island Home Located the Gorgeous Hamakua Coast.